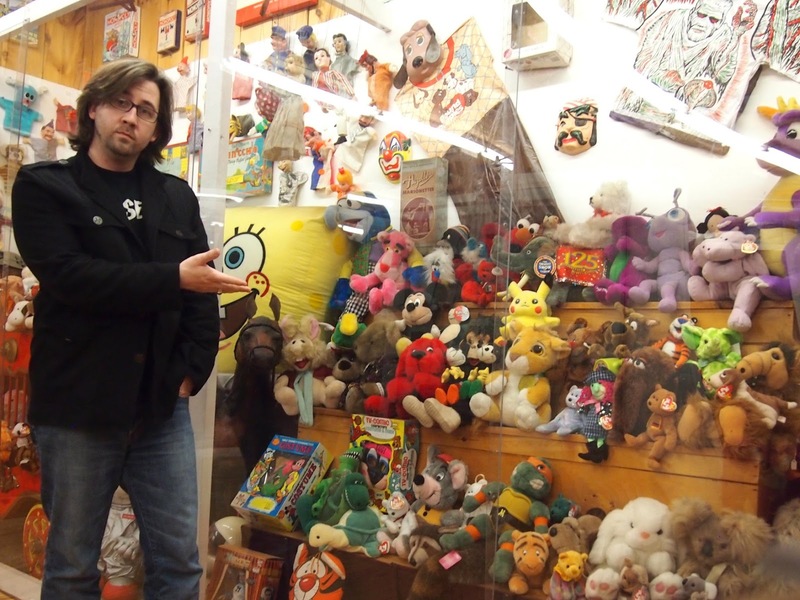 March 12, 2014 — As I write this post, I am surrounded by toys. Other things too, in this collection of stuff I call my study, but lots of toys. Actually, it’s more like a nest than a study. I roost in this room. 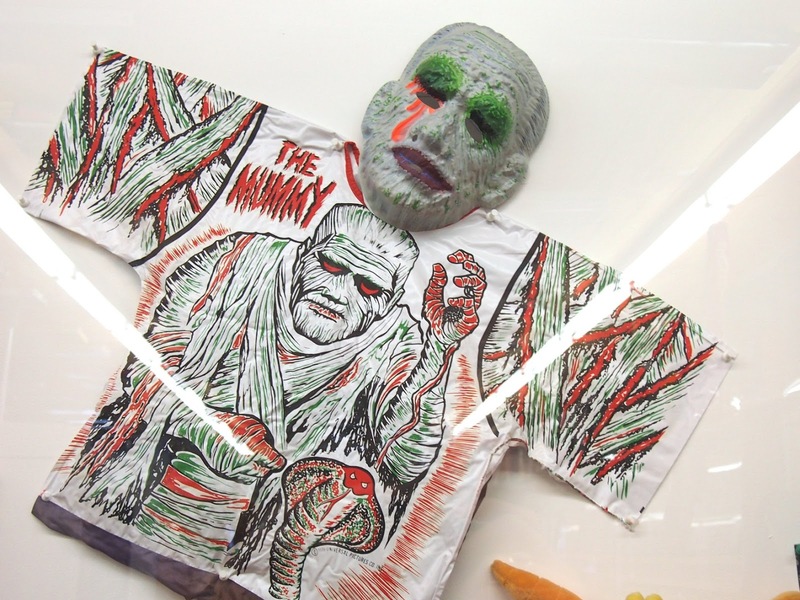 On a shelf at my seven, there’s a Rancor holding up poor, green Oola to its rubber jaws, my pal Krusher whose flexing belies a low self-esteem that no large reptilian monster should suffer, a chunky Granite from the Inhumanoids line, a translucent 10,000-Volt Ghost from The Scooby Doo Show, a Stay-Puft Marshmallow Man (I tried to think of the most harmless thing). Directly behind me, there’s a Chick-fil-A cow dressed as a Christmas elf, a couple of those HEXBUGs, and a remote-controlled severed hand that walks on walls and ceilings. If I lean back and crane my neck to the right, I’ll see Unicron, the transformer who turns into a planet and then eats other planets. The Muppet’s Statler and Waldorf heckling me from a shelf. A couple of Happy Meal toys. Also a cow skull, but that’s a tangent. I even have an actual toy box in my study. One day I’ll tour you through this place, but the point here is, I love toys. Much of my pre-adolescence was spent in the 1980s, when children really became an official target audience and savvy marketing strategies were launched with gusto at our defenseless intellects. And while corporations shrank our souls before our bodies and minds had even fully grown, they at least gave us great parting gifts…and ensured a future where none of us knew where the fine line was between child-like wonder and child-like idiocy. 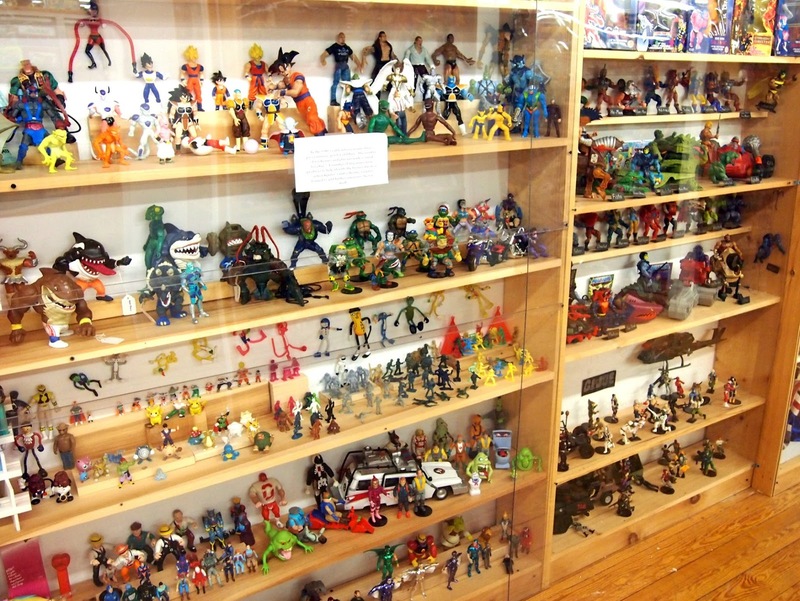 Today, I treat toy aisles like museum walls. More accurately, I treat them like galleries. The same way I marvel at the crayon strokes of Munch’s The Scream or the vivid decay of Albright’s The Portrait of Dorian Gray, I gaze with my chin in my hand at this obscure product license or that great action feature or this glorious level of detail represented on the pegs and shelves. And every once in a while I take one home. Each of those pieces of plastic and rubber represents a story…a story that, true, was developed precisely to convince impressionable children to game their parents into buying that piece of plastic and rubber, but a story nevertheless. 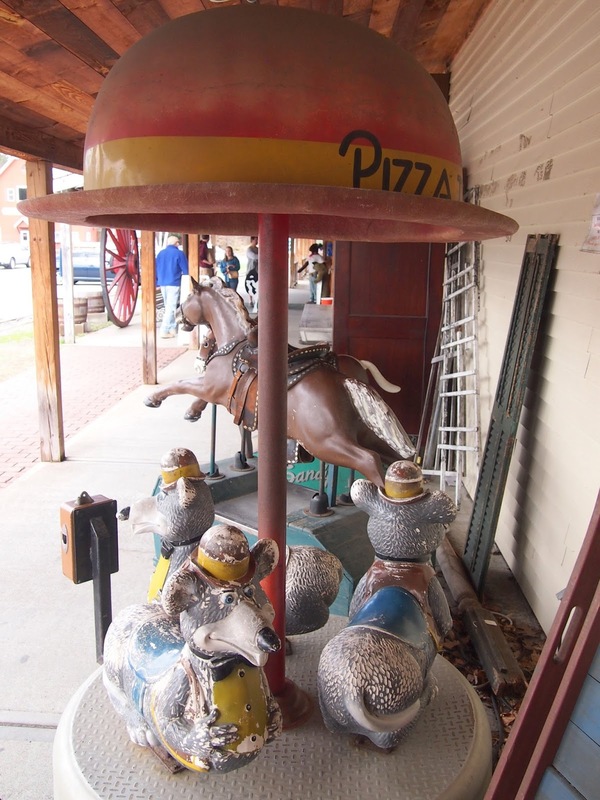 So finding an actual toy museum always seems, to me, like a validation or a commiseration or a culmination or something else that ends with “tion”…and, man, Vermont has a great one. The Vermont Toy Museum is a hidden wonder. It’s in Quechee, VT, in a quaint-looking single-building shopping center called the Quechee Gorge Village. Outside, the building looks like a large, nicely kept antique or souvenir shop, the kind you’d take your mom to or stop by on impulse during a Fall road trip. And it is that. You can buy Vermont T-shirts or sample cheeses or walk through rows and rows of New England antiques. But then you get to a set of stairs with signs all over it enthusiastically promising all kinds of toys…easily making one suspicious enough that it could be a trap, that the Child Catcher from Chitty Chitty Bang Bang was secreted up there with his nose and his net. But if you ascend those stairs, you’re in for a grand time. 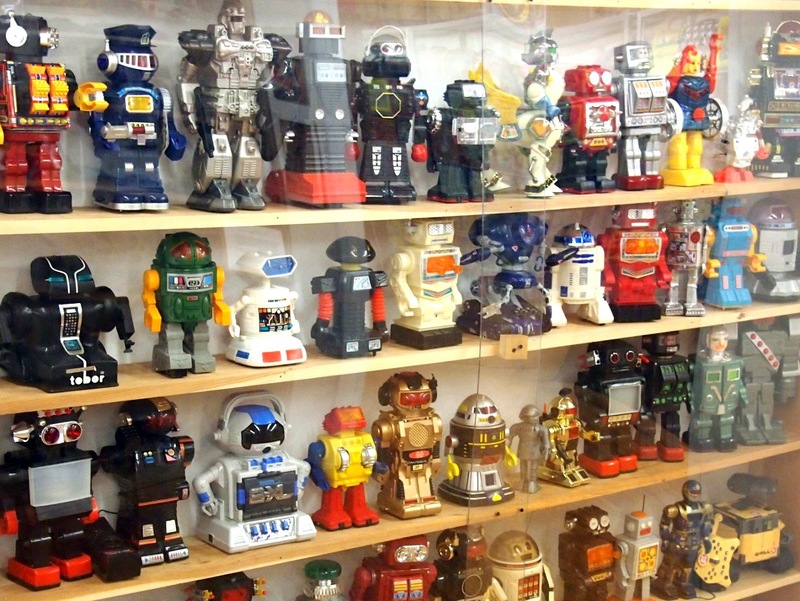 The single-room museum has no entrance fee, and it features some 100,000 toys from just about every decade that made toys. It’s not a big room, but it’s also not really a small room, relative to what it exhibits. Glass display cases line the walls and fill the middle spaces like one of those games where you need to get that BB into the cardboard hole. Oh, and, my apologies for the glare in the photos of those cases. 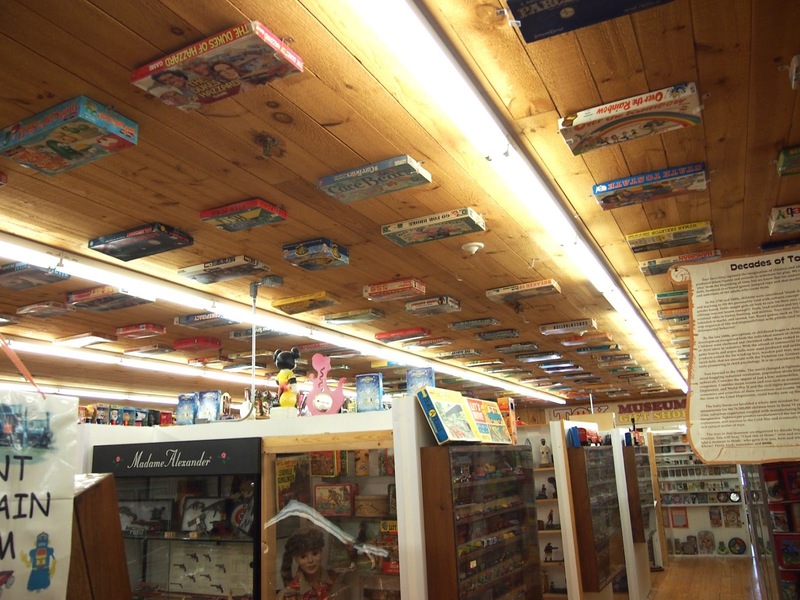 The ceiling, besides have board games clipped to it, had numerous parallel florescent tubes running the entire length of the room, making it difficult to get good photos of some of the toys. Everything there is arranged loosely and more or less neatly around themes. There’s a whole case of robots. 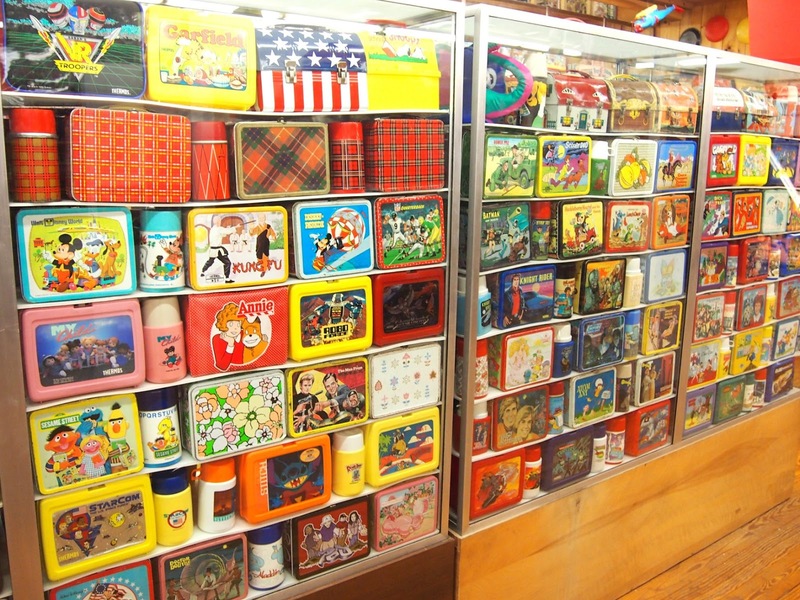 Another full of lunchboxes. Another of science fiction toys. 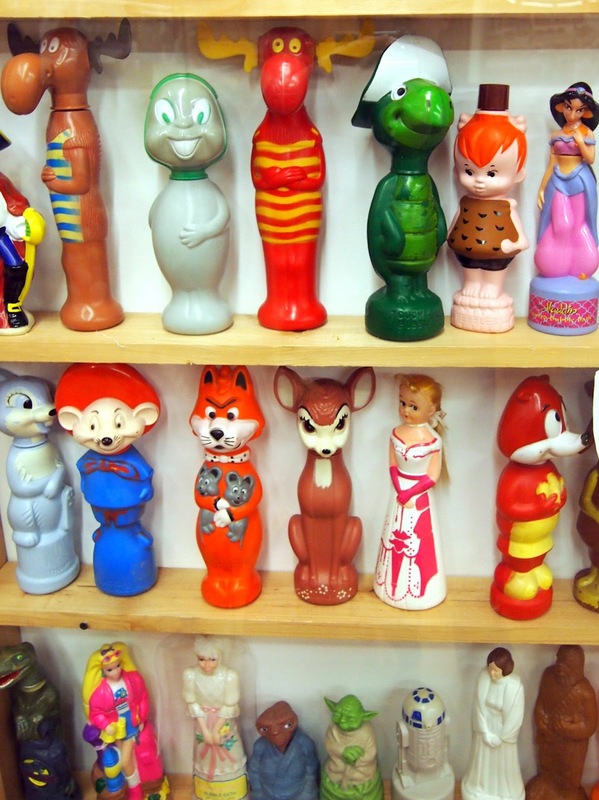 Shampoo bottles shaped like licensed characters. Star Wars, He-Man, video games systems, stuffed animals, Matchbox cars, and for those toys not copious enough for their own case, they were usually grouped together on the shelves. The TMNT toys stuck together. So did the G.I. Joes and the Real Ghostbusters. Street Sharks. Silver Hawks. All those Japanese imports that were popular in the 90s and early 00s. There are even the Holy Grail classics, like the 19” 1977 Shogun Warriors Godzilla that shoots its fist or the 15” Bigfoot from The Six Million Dollar Man series from that same year. It’s like the secret physical archives of ebay. I can’t say that the collection leaned to one decade per se, but obviously, my selective observation saw lots of the 80s in there…Gremlins and Alf and Atari and Urkel and California Raisins and close to everything I’ve already listed. I don’t know who owns this place. The website merely says these toys are the “result of one man's dream and 30 years of dedication to share the preservation of our toy heritage and the importance that toys play in our lives.” I assume he keeps his identity a secret for fear of becoming deluged with Facebook friend requests. Because just like that one kid in the neighborhood who always seemed to get every cool toy, we’d be at his door in a second asking his mom if he could come out to play…and, more importantly, could he bring his toys. Maybe that’s why he put them on display in the first place. I kind of want that shirt for everyday wear. Oh, and they had one of these outside.